I didn’t believe it at first either, so before we go any further with this article, I think it’d be a good idea for you to listen to the song for yourself. As luck would have it, it’s right here on Youtube! With that shock out of the way, I’m sure you have a few questions. I know I did. What you just listened to was “The Majolica Senorita of My Dreams” (夢はマジョリカ・セニョリータ; yume wa majorika senyorita)1 by the pop-idol duo KEY WEST CLUB,2 which was active between 1991 to 1992. Though this may make it look like Moonlight Densetsu came first, but the duo had actually performed their version of the song on late night TV and at concerts prior to the Moonlight Densetsu revision coming onto the scene. The greatest irony of all this is probably that despite being the ones to bring this melody out in the first place, KEY WEST CLUB ultimately was unsuccessful and disbanded in 1992. It’s actually not plagiarism for the simple fact that – except for the lyrics – both songs were composed and arranged by the same people: Daria Kawashima6 (credited as Tetsuya Komoro) on composition and Daisuke Ikeda7 on arrangement. More likely than not, the song was written for KEY WEST CLUB, wasn’t getting the popularity they had hoped for, so the song had been moved over to a new project with the lyrics rewritten. As it turns out, there’s a deeper connection between this idol group and Sailor Moon. You see, KEY WEST CLUB was made up of Keiko Azuma and Miki Nakatani – members of the Japanese pop idol group Sakurakko Club,8 and were overseen by the entertainment conglomerate Being Inc.9 If this all sounds familiar to you, then hats off to you – I’m impressed. Being Inc. also over saw DALI, which disbanded immediately after their hit debut song, Moonlight Densetsu. After disbanding, two of the members (Misuzu Takahashi and Mari Nishimoto) joined back together to form MANISH – a poorly-named group named after MAri NISHimoto.10 Once again, they stayed with Being Inc. 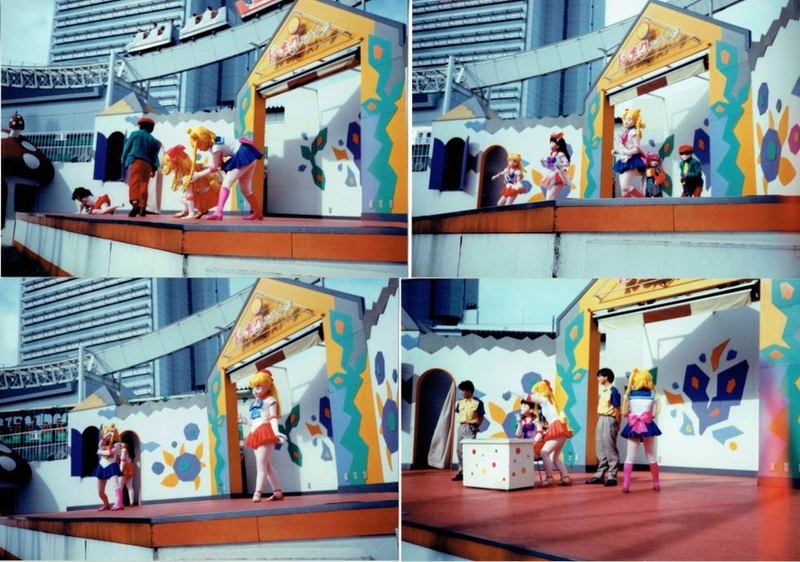 Starting with Sailor Moon S and continuing with Sailor Moon Super, Moonlight Densetsu was re-recorded by Moon Lips, which – wouldn’t you know it! – was made up of members of Sakurakko Club! 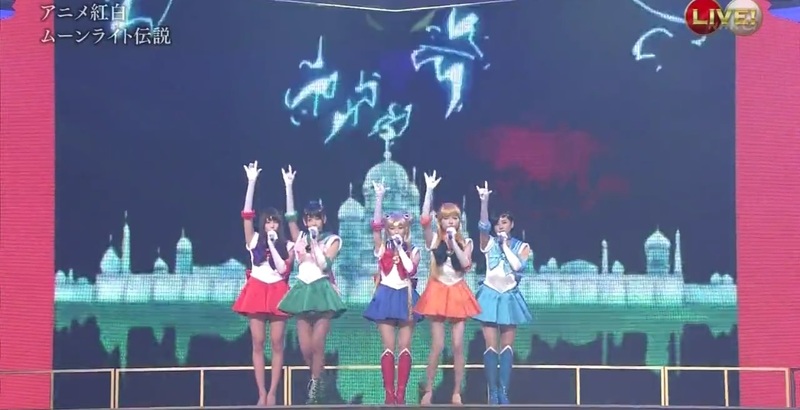 More specifically, the members of the Sailor Moon musical cast. Unless someone wants to open up with a tell-all book, unfortunately how or why all of these backroom dealings surrounding the famous Sailor Moon theme song happened is probably lost to time. Read also: Does Usagi Need Her Brooch to Stay Sailor Moon? I personally find the immediate disbanding of DALI to be strange, especially as Sailor Moon‘s popularity started to pick up. It almost seems like the powers-that-be had decided from the beginning that the group wasn’t going to last, but I can’t imagine why. Just one of many mysteries left in the world of Sailor Moon for us to ponder over! ← Which Real Life Singer Was the Basis for Rei Hino’s Design? Its funny seeing how the KEY WEST CLUB’s version was rearranged with a different melody later on. Weird, right? They came first, but since their album was released after Sailor Moon hit the air waves, I guess they didn’t have much of a choice but to change it. I hear that the KEY WEST CLUB album fetches a pretty penny online now. It sounds like this one also had an impact on Moonlight Densetsu. Yep! Good catch – the very next article was about that! I missed it originally, but fortunately I’ve got a bunch of attentive readers. You can read up on that song here: What Legal Troubles Were Caused by Moonlight Densetsu? It definitely would not be the first, or last, time that a Japanese song was “inspired” by another tune and “borrowed heavily” (or, in less polite words, “stole”) from it! Hubby and I have been looking for the song. And it’s Umi no mieru machi from Majo no Takkyuubin. Please check it out once. If that’s not “inspired”, I don’t know what is.